On the top right we have what I call a summer blanket, or basically when your toddler wants something cool to the touch against his/her skin to nap with during the hot summer months. 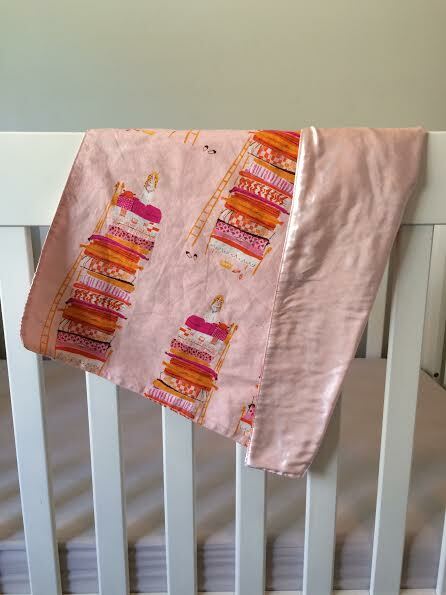 Use your favorite fabric on the top (heather ross, princess and the pea). I like to back them with that "satin backed flannel" you can get at Joann's. It measures about the size of a fat quarter. 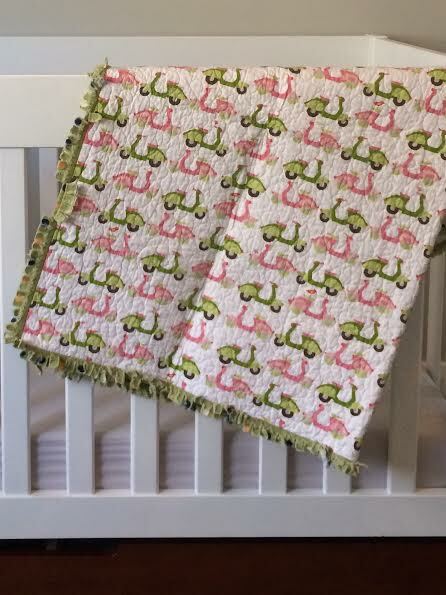 Perfect for carting around or transitioning into a doll quilt. You can read about it here. 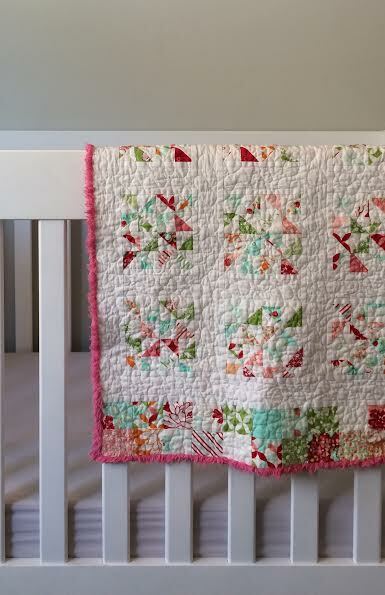 Next on the top is a doll quilt I made from left overs and a cool binding made with chenille. You can read about it here. This one is a "play quilt". 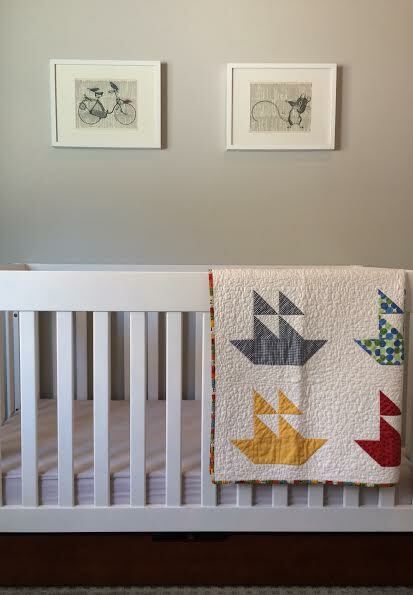 I started making this quick project when I couldn't keep up with pieced baby quilts for gifts. It's basically 2 pieces of the cutest fabric available, quilted, and bound with a ruffle binding. You can learn about that here. Wow 8! Your things are lovely that you have made. 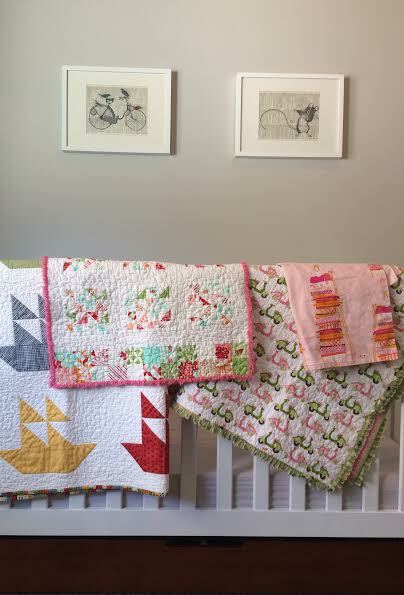 Lovely to see your quilts being loved. 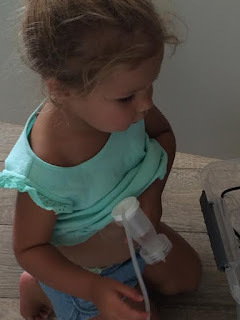 Is the little one using a breast pump - hilarious photo! You missed several other projects around the house! Oh my goodness. That yawn is adorable. I've never seen the satin backed flannel, I'll have to look for it. 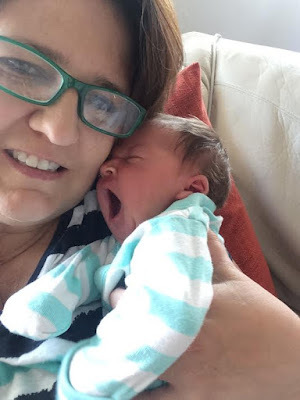 OK, your quilts are beautiful, but grandbaby #8 is definitely whoop-whoop-worthy!! !